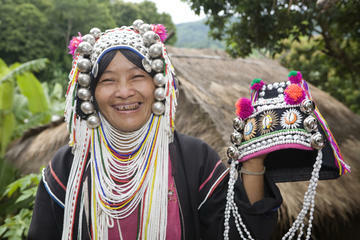 Karen Hill Tribe is the largest of all the minority groups in Thailand, comprising in total of around 300,000. They are divided into three main assemblages. The Red Karen or Kayah is one such group. 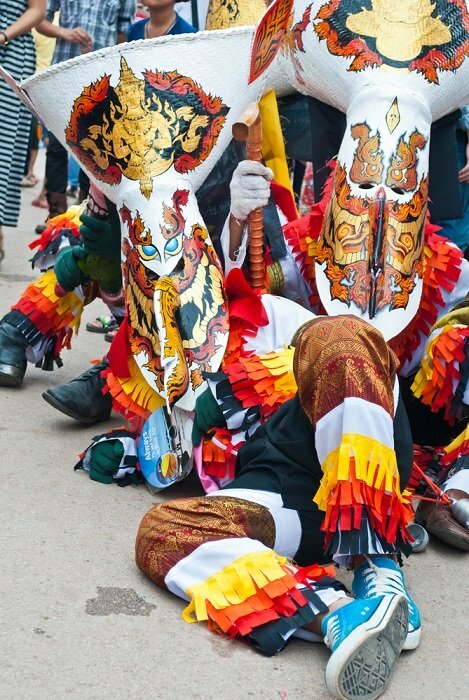 Another group is the Black Karen or Pgo and the third hill tribe is the White Karen or Sgaw. While some tribes continue to practice animistic and Buddhist teachings, many have converted to Christianity. The Karen tribe are easily identified by their woven v-neck tunics and turbans of diverse natural colours. Unmarried Karen women wear distinctive long white v-neck tunics. You'll find the Karen engaging in agriculture such as tea and rice cultivation in the lowland areas. This tribe is environmentally conscious and will often be seen practising crop rotation to help preserve the forests. The ones staying at home attending the children are experts in the art of weaving. How would you like to go on a private full-day Hill Tribe and Golden Triangle guided excursion to Mae Chan to visit the Yao and the Akha hill tribe villages from Chiang Rai? A private guide will accompany you so that you get a greater flexibility and a more exclusive experience. 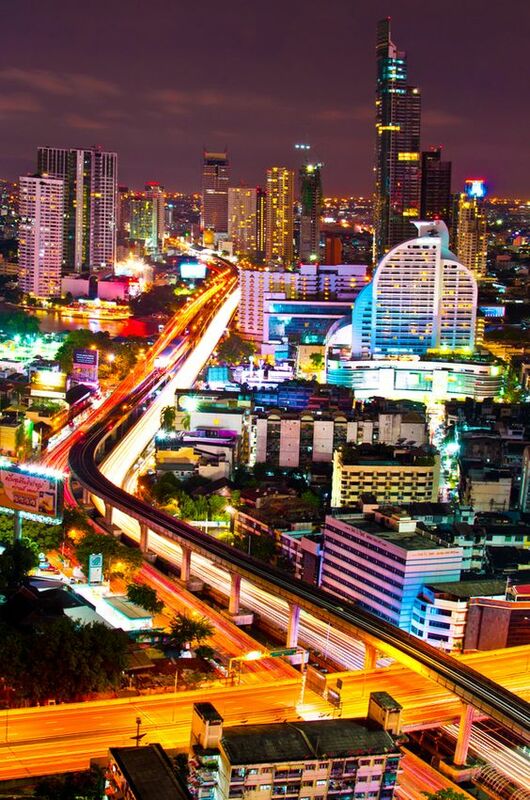 You'll also be driven to Mae Sai, the farthermost northern border between Thailand and Burma where you'll get a real glimpse of the bustling marketplace there. A Buffet lunch will also be served. For more details of this wonderful tour, please see details above. Booking the tour from this page (at no extra cost to you) will not only allow me to earn a small commission but you'd be helping me maintain this blog so that I can continue giving you more Thailand travel info. From a very tender age, young Karen girls start to wear brass rings around their necks, arms and legs. Once they reach adulthood, the rings around their necks can easily add up to some 26 loops all in all while weighing over two kilogrammes. That's a heck of a lot of heavy metal to carry around for the rest of their lives. And we are only talking about the metal on their necks! Now, what about all the hardware on their arms and legs. These girls would certainly have a difficult time trying to go through customs at the airport. Removing the rings could seriously delay flights so be prepared for a long haul should one of these girls board your flight. Okay! I know that I am just fooling around here, but it makes you think that some of us are lucky enough to be able to travel worldwide with modern transport and not have to trek around on foot most of the time. Can you imagine having to live in a remote village or worse still, a refugee camp? I should think not. The big question often asked is whether the rings can ever be removed without severe neck injuries or will the necks of these ladies simply snap. I should imagine this would depend entirely on individual circumstances. One would have to consider how long the rings have been on. Another would be, how long the neck has grown or perhaps how sturdy the neck is once the rings are removed. Some say that the rings cannot be removed as the ladies here would no longer be able to hold their heads high. Well, some young girls seen in the villages have had their hardware removed and you can clearly see their elongated necks yet somehow they seem to be perfectly happy at play. There are many disputes regarding this type of practice, but you have to understand it is their custom. According to Ripley's believe-it-or-not documentary film, one Karen women had her rings removed only to complain of intense pain and immediately asked to have her rings re-attached. It is said that the wearing of brass rings helps to project their tribal identity. Long Neck Women or Giraffe Women are just some of the names often used to describe these elongated necks of the Karen Hill Tribe. Travel 25 kilometres (15 miles) from Mae Hong Son towards the Burmese border in northern Thailand and you will reach the village of Ban Nai Soi. At some point along the way you will pass a Thai checkpoint but please don't be alarmed as the army is only on the lookout for drug smugglers and the occasional Burmese military. I hope you are neither. Anyway, Thai people are well known for their hospitality and this army will give you a smile as they wave you on. This well-travelled road is fairly reasonable for most of the way. A little further up from the village, you'll come across the Padaung Karen Tribe refugee camp. Many tourists arrive here to get a glimpse into the lives of these fascinating long neck dwellers. Taking photographs will probably be the order of the day here. The area around the refugee village is a hive of activity with farmers tending to their fields, women in the village helping men construct new roofs for their huts, adolescents studying under their homes and little old ladies carrying their daily pickings in wicker baskets on their heads along a stretch of dirt and dusty road.